Virtual Service Delivery is a method of providing case management services such as coaching, referrals, training, supportive services and appointment reminders all via text. Our experienced team understands your program needs and can help you understand how to use CareerHub to increase your program’s outcomes. Virtual Services is a strategy to provide social services via text, email, voice, social media or video chat. Services can include coaching, mentoring, referrals, appointment reminders training and announcements. Our team at CareerHub has worked to develop evaluate and refine these strategies in workforce development, education, social services and probation. As part of our on-going efforts to share Virtual Service Delivery best practices, we collect and share how CareerHub is used to further engage and support participants or students. Thank you to our users for sharing your stories. If you have a story to tell, let us know! 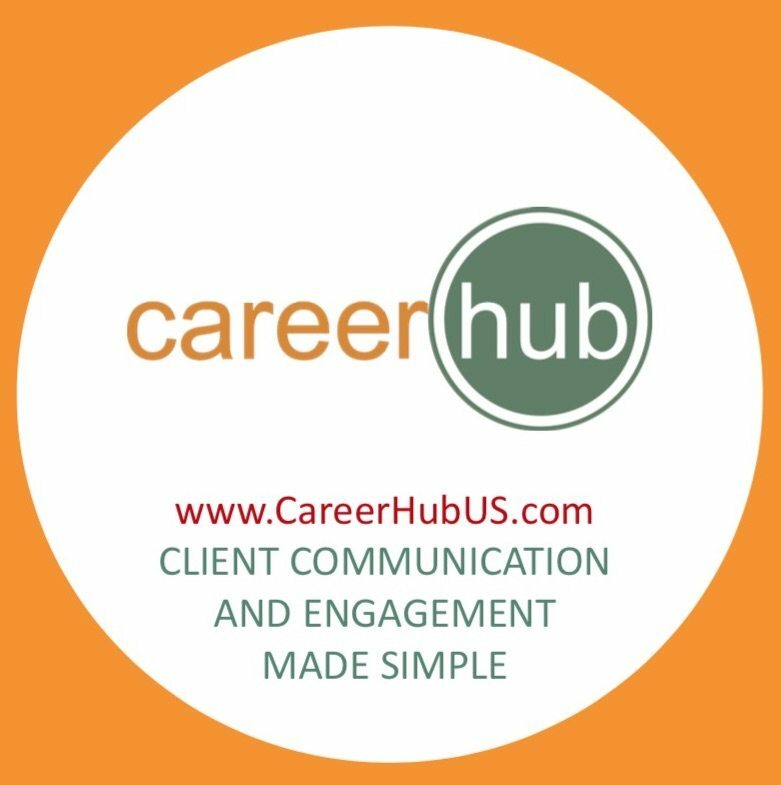 Email us at info@CareerHubUS.com. Community Youth Center a youth workforce development agency in San Francisco. Community Youth Center sends text messages for recruitment, reminders, and data collection. They use CareerHub to communicate and collect data which is key to their work. 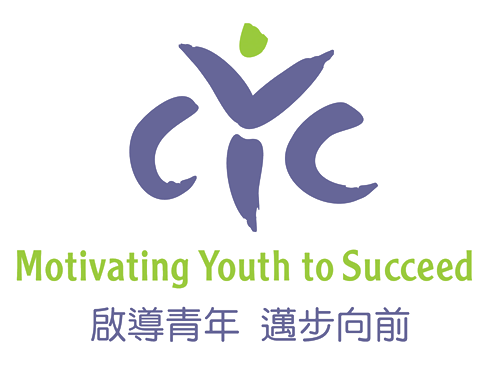 Youth can send copies documents (pay stubs, H.S. Diploma, applications, etc) all through CareerHub speeding up enrollment from 3-4 weeks to 3-days on average. The America’s Job Centers of Kern, Inyo and Mono Counties use CareerHub to send out just in time announcements and flyers to hundreds of job seekers for urgent onsite recruitments and events. When driving across Kern County can take up to two and a half hours, these accurate and urgent texts save time and energy for job seekers. 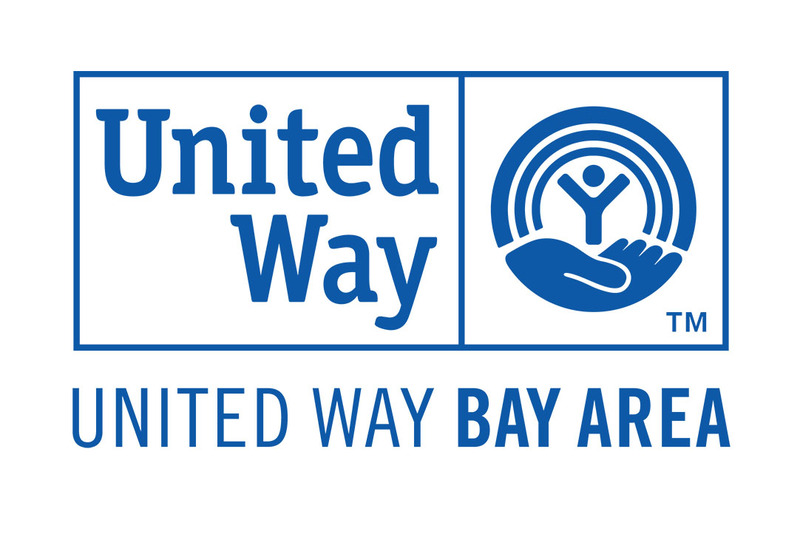 The United Way Bay Area used CareerHub to target and outreach to youth not engaged in school or work. These young people received a series of text messages providing training via videos, articles and engaging Q/A focusing on job seeking and job getting skills. As a result, many young people reconnected to educational and training providers. 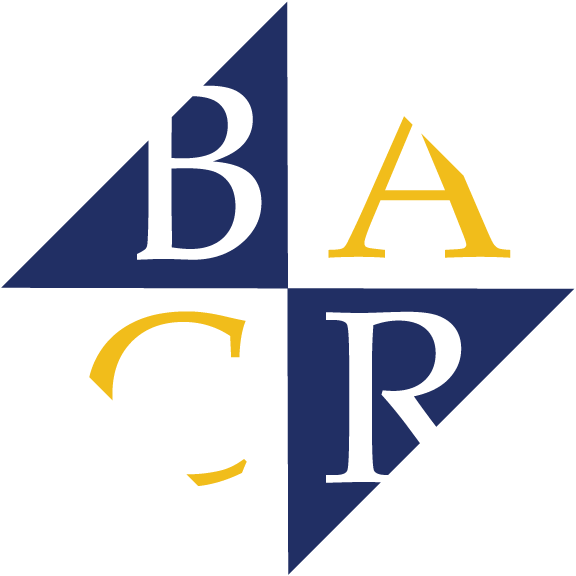 Bay Area Community Resources sends encouraging coaching messages to young people while they are completing difficult tasks like job seeking or completing a certificate. They also reward young people with an e-gift card for completing discrete tasks like creating an email account or turning in a required form. Kern High School District youth interns created a series of virtual e-learning lessons developed on Google Docs and delivered via text on CareerHub. Lessons are targeted at young people who live too far away from the office to participate on a daily basis but can engage in services virtually via smart phones. 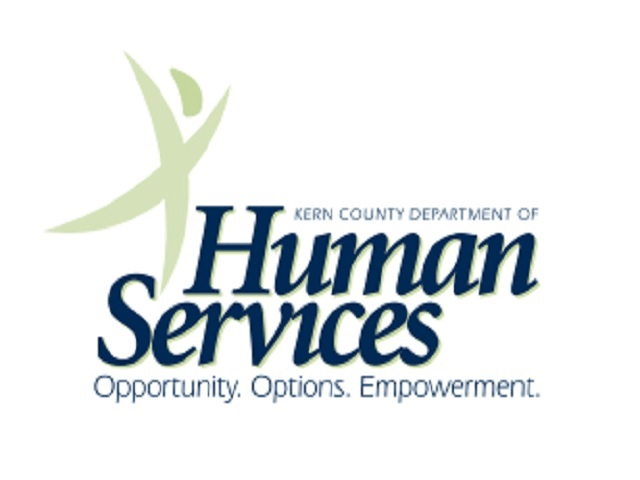 Kern Human Services CalWORKS Welfare-to-Work program saves at least 3 hours per week using CareerHub to remind clients of upcoming appointments and training. Before CareerHub 2-3 staff members manually made phone calls to all 30 clients required to attend class the following week. 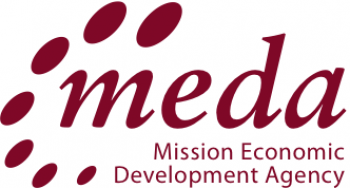 Mission Economic Development Agency used CareerHub e-gifts to provide emergency supportive services to Mission Techies students. E-gifts were delivered via text and email and allowed students to buy emergency groceries, medicine, diapers and equipment. These convenient supportive services reduced the amount of student absences. SparkPoint Contra Costa uses CareerHub to send valuable financial literacy training via text. These messages provide tips, tricks and reminders to students at the Contra Costa Community College district. 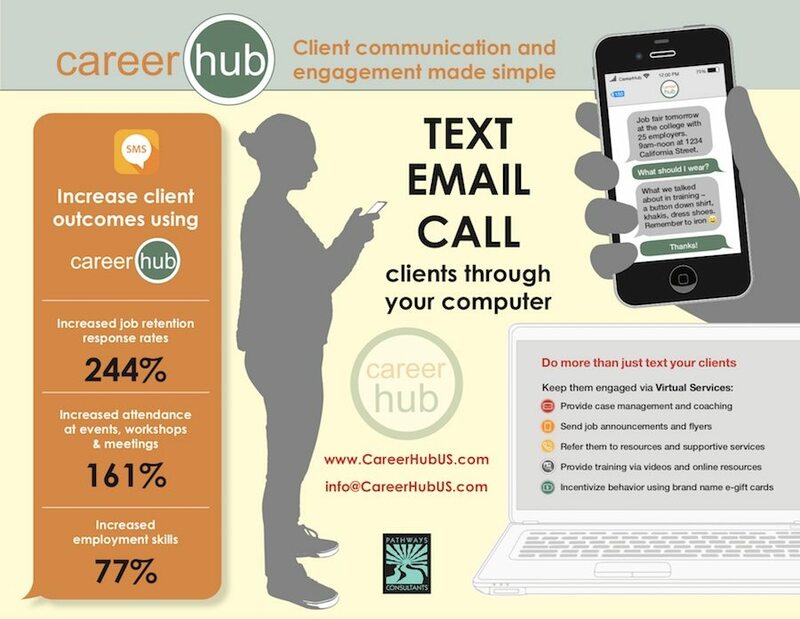 Pathways Consultants uses CareerHub to remind social service and workforce service providers about their upcoming workshops via text, email and voice. This practice saves hours of time manually sending reminders and making calls and increases attendance at events. Pathways also uses CareerHub to incentivize responses to surveys by offering e-gift cards to respondents. Want to learn more about Virtual Service Delivery?